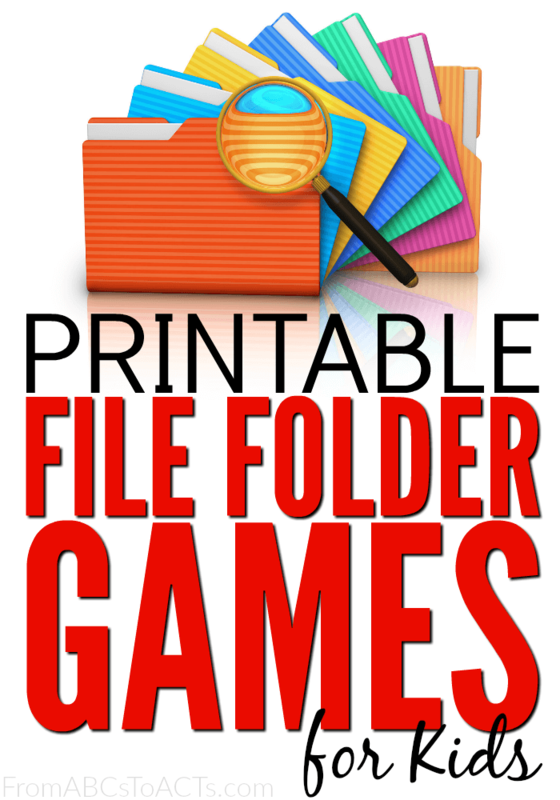 File folder games are a fun and easy way to practice or review many of the skills your child is covering in their daily learning either as a review in your homeschool or as a supplement to what they are learning in school. Whether you’re working with your children on math concepts or grammar rules, there is probably a printable game out there that you can use to back those lessons up. With this list, you don’t even have to go looking for them! We’ve compiled a list of over 75 printable games that you can download and print for FREE to use with your own children! Planning on making more than one at once? These are perfect for storing your games and keeping all of the pieces together and since you can hang them up, you don’t have to worry about them taking up a lot of space.